The Catawba Valley Medical Center's Birthing Center offers a variety of childbirth and child-care classes, including monthly prenatal classes and sibling tours designed to make the entire family feel more comfortable during this exciting time. 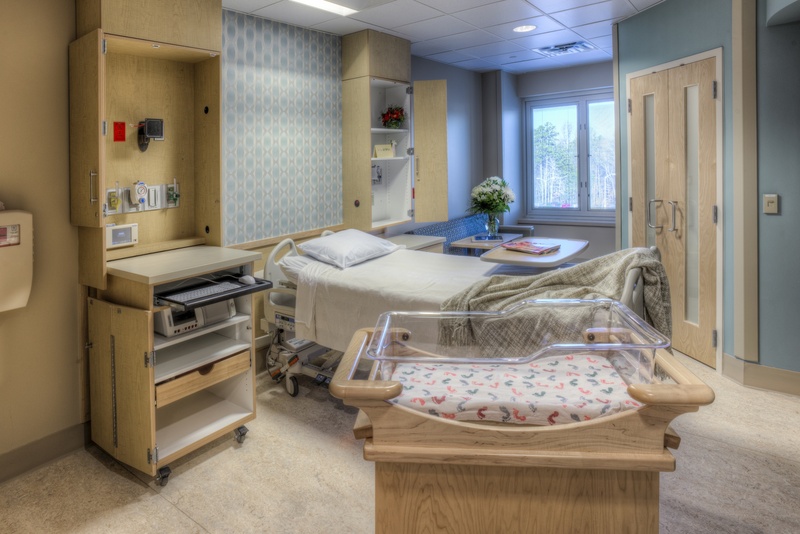 Each room in the Birthing Center provides new mothers with the latest in convenience, comfort and technology. Every phase of the birth experience, from labor, to delivery, to recovery takes place in a cozy suite designed to reflect the familiar comforts of home. Catawba Valley Medical Center’s Maternal and Fetal Care program provides state- of-the-art care for women with high-risk pregnancies.The team of maternal-fetal medicine specialists, sonographers and nurses are at the cutting edge of clinical management in high-risk pregnancies. Our partner physicians, from Carolinas Medical Center Women’s Institute of Charlotte, are specially trained to perform detailed level II ultrasound, fetal echocardiography and diagnostic tests such as chorionic villus sampling, amniocentesis and fetal blood sampling.They perform ultrasound- guided in-utero blood transfusions and other in-utero procedures if necessary. Learn more.